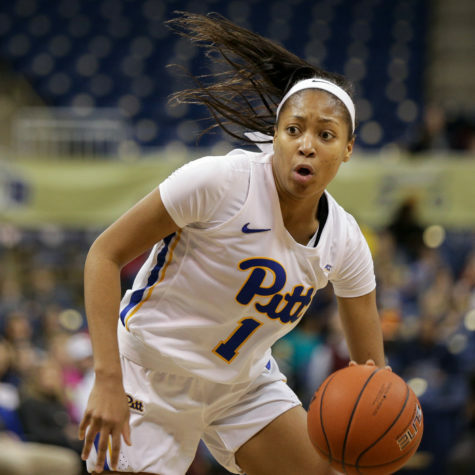 The Pitt women’s basketball team’s once-promising season has lost direction and postseason hopes have diminished, as the Panthers seem destined for their sixth losing season in seven years. 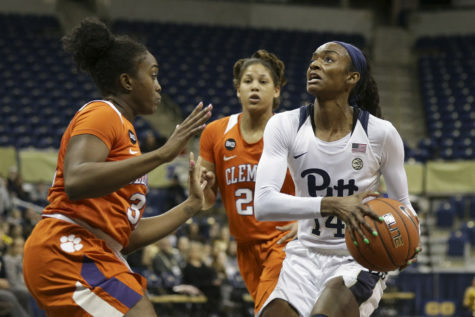 The Panthers (12-13 overall, 3-9 ACC) fell to another ranked opponent Sunday, losing to the No. 14 Duke Blue Devils (22-4 overall, 10-3 ACC) 62-48 at the famed Cameron Indoor Stadium in Durham, North Carolina. 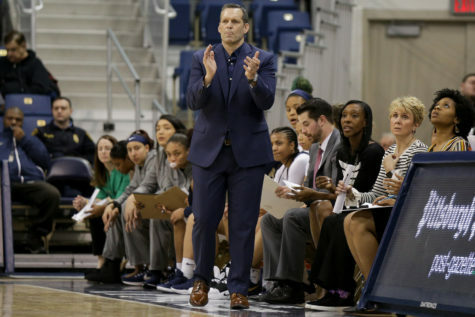 This marked the team’s sixth consecutive loss after a 3-3 start to conference play, and the defeat was Pitt’s seventh loss to a top-25 team from the ACC this season. The Blue Devils took control of the game from the starting tip. Only 20 seconds into the game, Duke sophomore guard Kyra Lambert put up the first points with a jumper. The Panthers couldn’t get through the Blue Devils defense and struggled to put anything on the scoreboard for the majority of the first quarter. Duke increased its lead to seven points with a layup from freshman forward Leaonna Odom and a 3-pointer from junior guard Lexie Brown. With 7:17 to go in the first quarter, sophomore forward Brenna Wise got Pitt on the board with a smooth layup. After the Blue Devils took a trip to the foul line, Wise scored two more points with another layup to make the score 9-4. A pair of layups from Lambert and Brown then stretched Duke’s lead to nine with 3:35 left in the quarter. 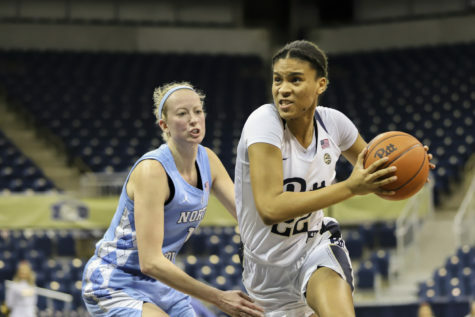 Panthers graduate-transfer Brandi Harvey-Carr fought through two Blue Devils to make a jumper with just over two minutes left in the first quarter, drawing a foul as the ball swished through the net. But Harvey-Carr couldn’t complete the 3-point play, and Duke quickly retaliated with a jumper from Odom. Harvey-Carr made her second basket of the game with 30 seconds remaining in the quarter, but Brown drained a jumper two seconds before the buzzer sounded to give the Blue Devils a 17-8 lead. 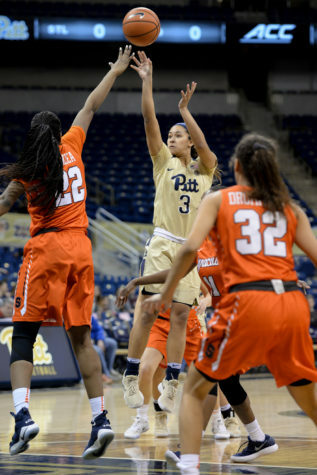 True freshman guard Alayna Gribble opened the second quarter for Pitt with one of her signature 3-point shots. 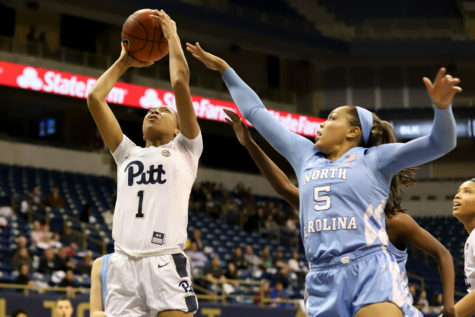 A 3-pointer from Duke guard Rebecca Greenwell set the Panthers back, but Wise fought to keep Pitt in the game, as her successful free throw and layup brought the Panthers back within seven. 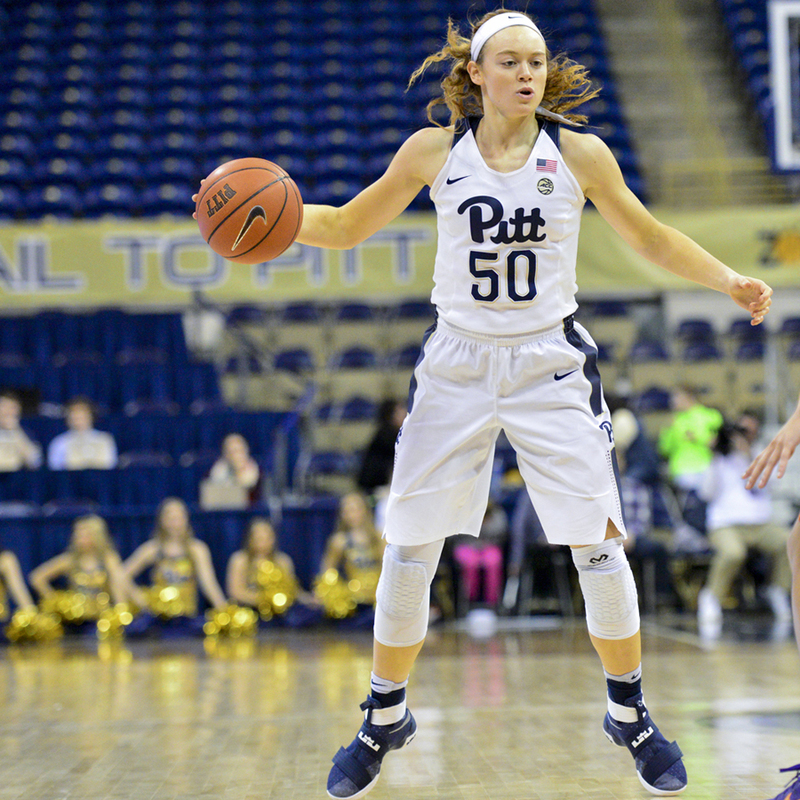 Sophomore guard Cassidy Walsh came off the bench for Pitt and nailed a three of her own with 3:33 remaining in the half. Duke sophomore guard/forward Faith Suggs then tipped the ball into the basket to move the Blue Devils ahead, 27-19. Both teams continued to fire up shots, but neither had success. The remainder of the half saw no scoring, with both teams going without a field goal for the final 3:07. The Panthers entered halftime trailing 29-19. Wise was the lone bright spot for the squad, leading the team in scoring and rebounds with eight and four, respectively. Duke returned from the half ready to extend its lead, as Brown squared up from just beyond the arc to sink her second three of the game. 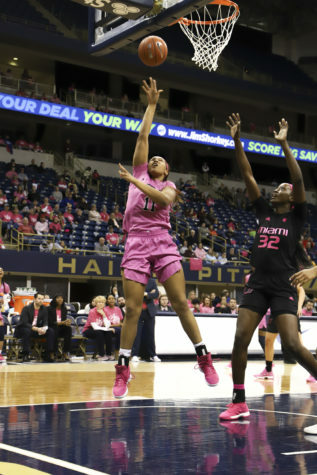 A jumper from Wise and a layup from Harvey-Carr helped decrease Pitt’s deficit, but the Blue Devils exploded, scoring the next eight points as part of a 15-2 run that helped put the game out of reach. With 2:45 left in the third quarter, Duke converted its fifth 3-point basket of the game to build a comfortable 22-point lead. 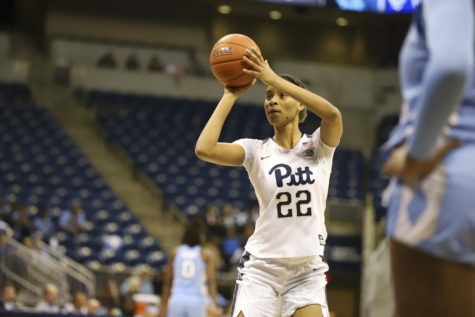 The Panthers went without a basket for more than three minutes until true freshman guard Jasmine Whitney chalked up her first points of the game with a layup. The Blue Devils then made two trips to the foul line, adding four more points and making it a 51-27 game. 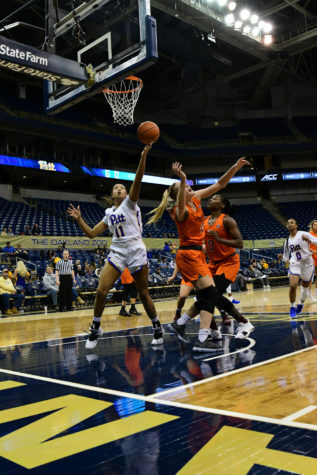 Pitt ended the third quarter with a pair of layups from sophomore forwards Kauai Bradley and Kalista Walters, but their points still left the Panthers trailing by 20, 51-31. Whitney scored the first points of the fourth quarter off a layup with 8:38 remaining in the game, then Harvey-Carr made a pair of free throws with 7:09 left. After a steal by Harvey-Carr, Bradley stepped just within the arc and fired up a long jumper, making the score 52-37. 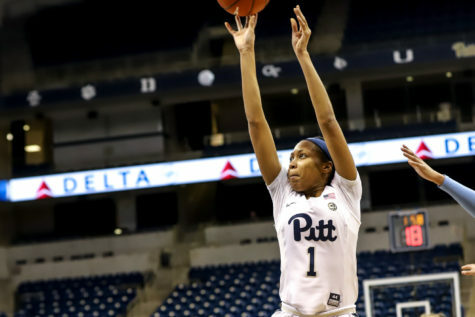 Brown continued to be a nuisance to the Panthers, putting up four more points before Harvey-Carr stopped her run with a layup. Bradley followed by drilling a three with 4:07 left to cut it to 56-42, but Pitt couldn’t come any closer. Duke held on to win, 62-48. The Panthers will look to end their six-game slide when they host Virginia Tech Thursday, Feb. 16. Tipoff is at 7 p.m. at the Petersen Events Center.